Throughout 2017, we've seen a new wave of energy building. This has been a 'ONE' Universal Year for the planet (2+0+1+7=10 and 1+0=1) signalling a new foundation in independence, personal expression and building structures that the globe will grow and learn from over the next nine years. The current energetic cycle that we've been co-creating with the cosmos will culminate in 2024 and then close down in 2025. One of the growing energy trends in 2017 has been the mainstream revelations and bubble bursting around sexuality, power and equality. Particularly in the latter half of 2017, we've seen women (and men) speaking up about sexual abuse and harassment, not only in the fields of entertainment and media, but also in politics, religions, corporations and everyday business and personal realms. We're not only finding our voice, but we're finally USING it as well. Souls are rising in 2017 and with this comes an opening of the heart (causing high-heart flutters around the thymus gland), which always precedes the opening of our voice of truth. We're experiencing exciting times from the perspective of cosmic consciousness. The dominoes are falling. It only takes one brave soul to begin the proceedings and lead the way, so that others gain the courage to speak their truth as well. August was the POWER month of 2017. In August our universe literally 'shifted' when the energy wave from the collision of two neutron stars finally impacted our solar system. See my recent blog post I also wrote a special detailed report about this event and it's implications for all Tip-Off Global Energy Forecast subscribers back in August. What this event did is cause a ripple in space time and life as we knew it literally changed gears. Think back to late August, at the time of the Total Solar Eclipse. How has your life changed since? Did you experience immense challenges in September? Did it seem like life was turned upside down and perhaps was at a standstill? In early September we experienced two of the biggest X-Class Solar Flares that we'd seen in a decade. We're supposed to be moving into solar minimum, so to have this happen was out of the ordinary and I feel, directly due to the universal shift which took place in August. September 2017 was an 'uneasy' month for the globe. It has become known as the 'most active month on record' for hurricane activity in the Atlantic ocean. We also had the near constant threat (media fired) of possible nuclear war between The US and North Korea. Then Equinox occurred and we had religious groups spreading the usual doomsday/end of world fear that they love to create around every September Equinox. October brought us balance and a chance to integrate the massive energy overhaul we had just been through. It felt like our entire life and brain and been re-wired since late August/early September. Have you seen this in your life? I most certainly have. Perhaps you've questioned who you and why you're here more deeply than you have for many years? October also brought us something else - Jupiter's move into Scorpio, the influence of which we will continue to experience over the next 12 months. Jupiter's move into Scorpio has had a massive impact on the TRUTH being set free on Earth. I directly attribute the current multitude of high-profile (and not so high-profile) sexual predators and offenders being exposed and shamed to this cosmic move. Jupiter is a HUGE energy and it influences us in BIG ways. Scorpio is intense and loves getting to the truth of any matter, particularly related to sexuality and equality. Combined, they will make definite waves. I predict that from now until October 2019 we will continue to see people exposed and brought to justice for sexual offences - worldwide. 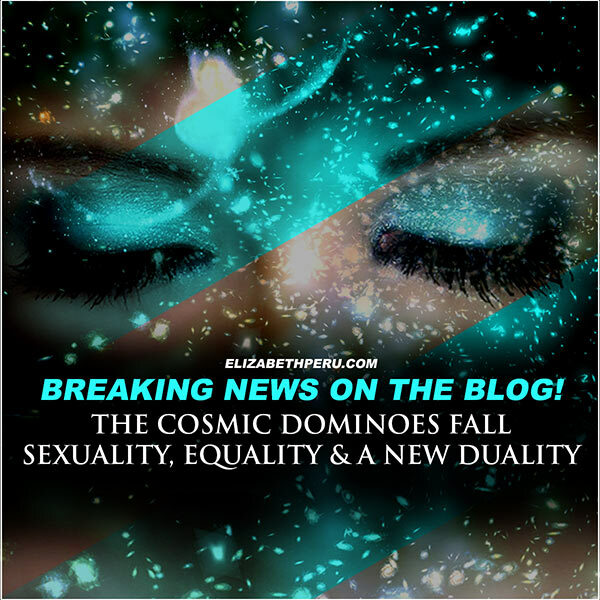 These dominoes will continue to fall and they need to, for all of us to allow the divine feminine to be given the credence, power and light of day that the divine masculine has had for so many centuries on Earth. You would have also noticed in 2017, a rise in gender neutrality. We're talking about the nature of gender and what constitutes a woman or a man, the feminine or masculine, more than ever. Some people are using this energy to become even more polarised between the sexes. And many are opening their minds to the feelings of others, seeing beyond the physical. No matter your stance on this issue, it's here to stay. And, why is that? Well, I always look to the cosmos for patterns and reasons for why we act the way we do and what energy trends we're absorbing from year to year. In 2017, I've seen a distinct blurring of lines in relations to duality, with duality being represented by polar opposites. In order for power to flow more evenly on Earth, we need to break down rigid rules and structures around what constitutes feminine and masculine. For indeed we ARE a blend of both energies. We're simply having to LIVE and understand this reality now. Whilst we're learning to understand duality first hand and the equal flow of energy between feminine and masculine, it may seem at first that the world is becoming MORE polarised and clinging to the old ways. But, don't let this fool you. Look beyond what the mainstream media will feed you. Look beyond what organised religion and corporate power structures will tell you. Look beyond the physical and look deep into your heart, your soul and the spiritual flow of life. You are the sovereign being in your world and you know what you feel. You create your reality, your way. One person does make a difference. Let that ONE person be you. 2018 THE YEAR OF WORLD SERVICE - It's not what you think!